We are offering these in partnership with Cambridge Regional College and all courses are FREE. Courses are open to adults 19+ and priority is given to those with health conditions or disabilities. You may express interest in more than one course, but if courses are oversubscribed, you may only be offered a place on one course. 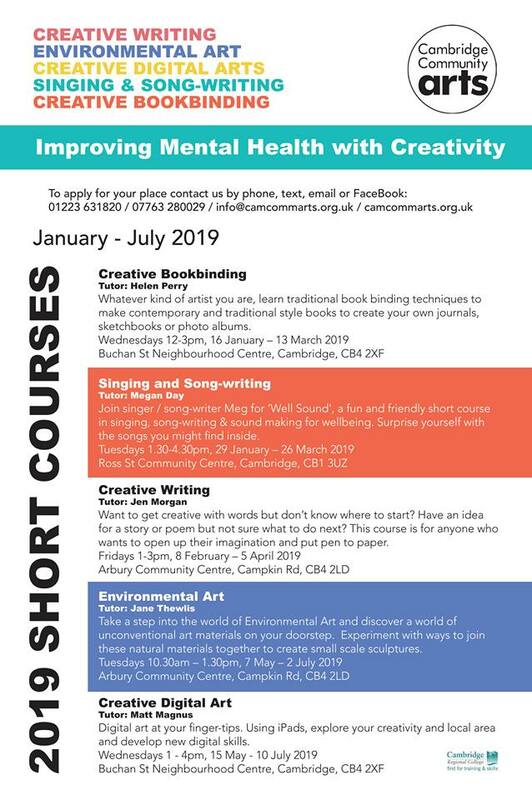 If there are no courses that take your fancy just now, sign up to our mailing list by emailing info@camcommarts.org.uk to be the first to know when we confirm new courses!